How to Convert an MTS File to MP4 Online? How to Convert from MTS to MP4 on Windows and Mac? 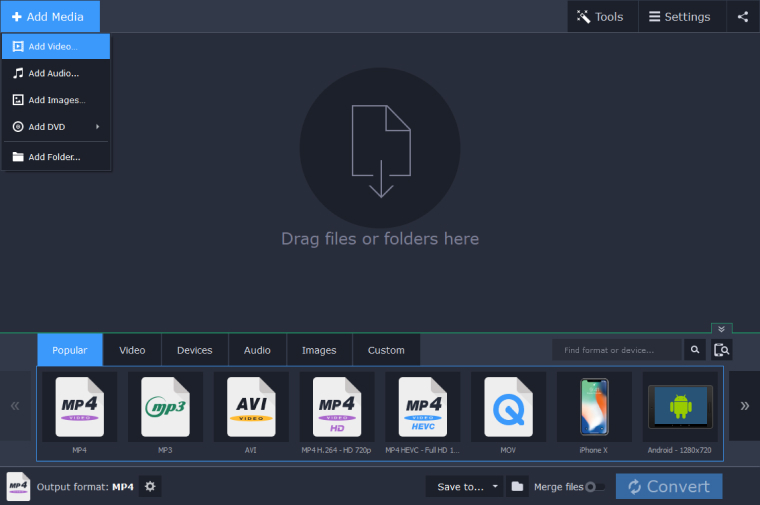 MTS is a file format used to record and play high-resolution videos. As an enhanced version of the MPEG-2 Transport Stream format, it is found mainly on Sony and Canon HD camcorders - for example, Canon Vixia cameras save files in MTS/M2TS format. These files use AVCHD (Advanced Video Coding High Definition) technology and support both 720p and 1080i resolutions. Files with the .mts extension can usually be opened with applications installed on high-definition video cameras or Blu‑Ray video players, but if you want to play an MTS file on a portable media player or mobile device, you need to change it to a more flexible format, such as MP4. This format is compatible with almost all media players and devices, so you won’t have any trouble opening or editing it. An easy way to do this is to use the free MTS-to-MP4 converter. Below you’ll find a short guide on how to work with this freeware. Read it and try to convert MTS to MP4 online. Your MTS movie file is over 100 MB? Try our premium desktop app! One of the simplest and easiest ways to convert MTS to MP4 is to use the SuperSpeed Video Converter. It works wonders, combining a user-friendly interface and powerful functionality. Convert one or multiple files simultaneously and be sure you’ll always get stunning quality. 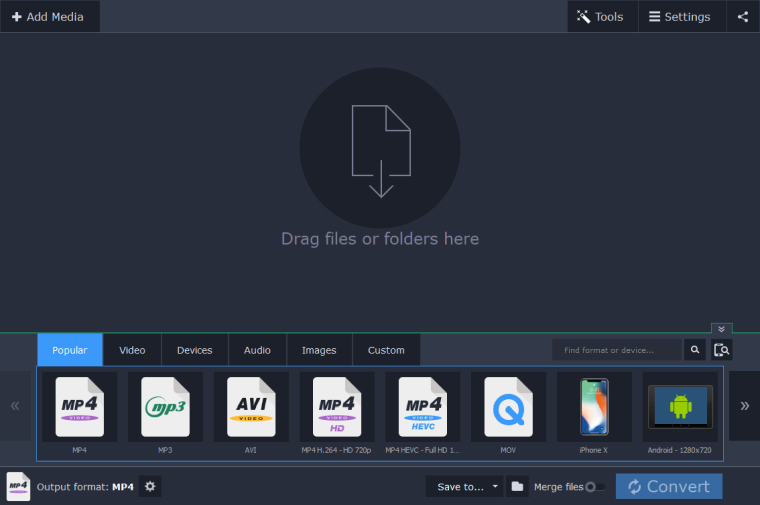 Just download the program and follow this step-by-step guide to learn how to convert MTS to MP4 in no time. Download the SuperSpeed Video Converter for Windows or Mac. Run the downloaded file and follow the instructions to install the software on your computer. After the process is complete, launch the program. Click the Add Media button and then Add Video in the upper left corner. In the new window, locate the files you want to convert and click Open. Thanks to the batch conversion feature, the converter can process multiple files at once. All the files will appear in the program window. 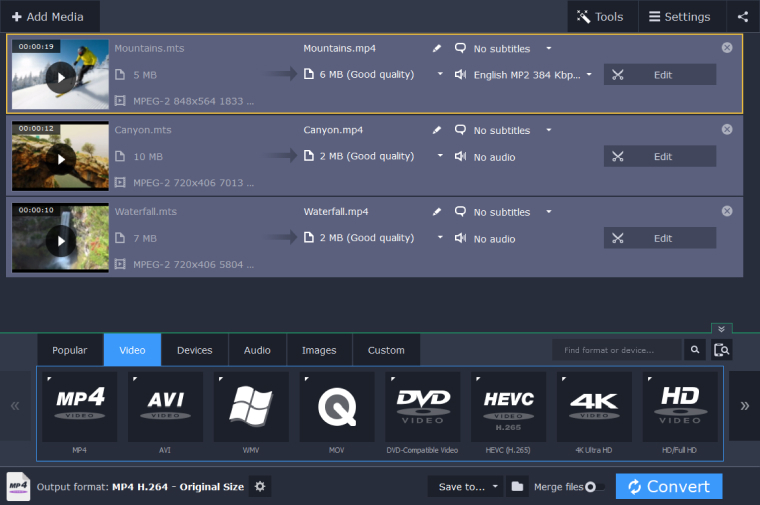 Open the Video tab at the bottom of the converter interface, select MP4, and choose the preset that best meets your needs. If you want to create an MP4 video for a specific mobile device, click the Devices tab and choose the appropriate preset. To choose a destination folder other than the default, click the Directory icon, browse to the folder you need, and click Select Folder. When all the required settings have been specified, you can start converting your files by clicking Convert. When the conversion process is complete, the folder containing the converted videos will open automatically. As you can see, the SuperSpeed Video Converter is pretty simple and convenient. 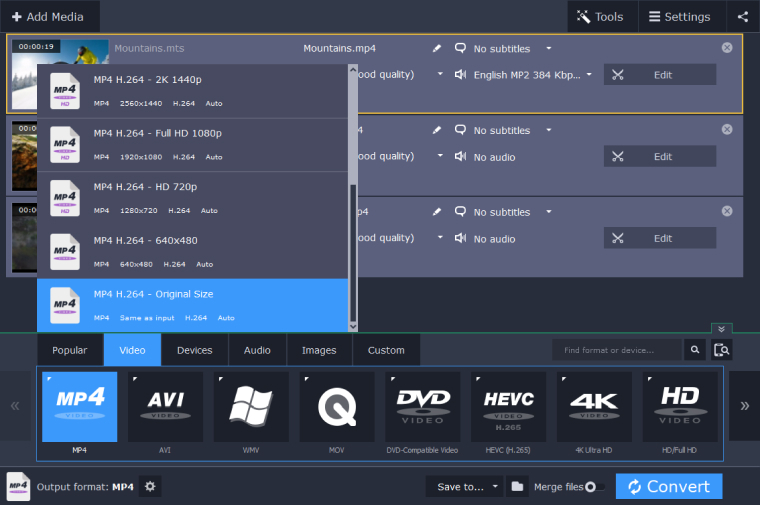 In addition to converting MTS to MP4, this software can convert videos to any of 180+ supported formats; you can even use it to edit your video. Whichever formats you want to convert, the result will always be perfect. Download the program and see it for yourself!